It's Facebook Fridays! for September 2, 2016, and now is the time to bring the love of your life into your arms! 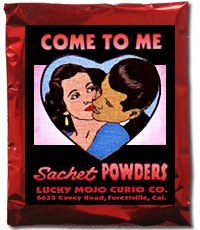 The Lucky Mojo Curio Company is holding a random drawing to give away 4 true love-attracting Come To Me spiritual supply prizes to bring your chosen one closer, closer, CLOSER! 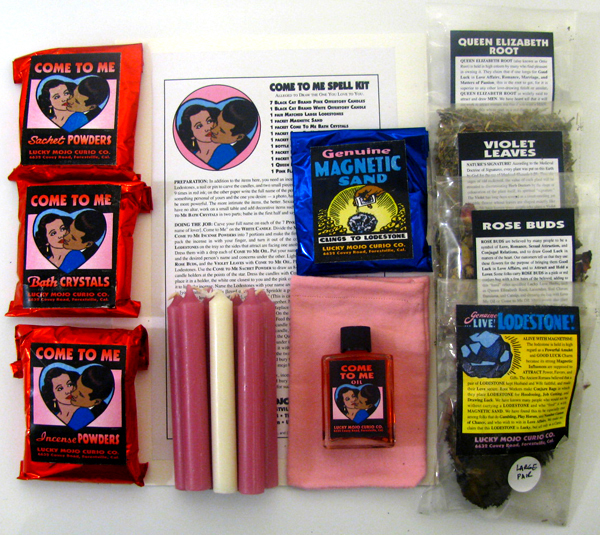 This week 1 lucky winner will receive an amazing Come To Me Spell Kit with all ingredients and complete instructions for use. 3 more runner-up prizes will be awarded to folks who will each recieve a packet of Come To Me Sachet Powders for sprinkling pathways and fixing greeting cards and letters. First thing tomorrow morning, we will select FOUR winners at random, announce their names here, and ask them to message this Facebook Page with their mailing addresses, so we can send them their FREE Come To Me products. We have a winner! In fact, we have 4 lucky winners! Our Facebook Fridays! winners for September 2, 2016 are: Dorian Broadway, Kelsey Waters, Liberty Rangel, and Vajra Conjure Wright. Thanks, Ernie, for posting this here. I hope that all of our Forum members do follow us on Facebook and enter these weekly prize-fests.